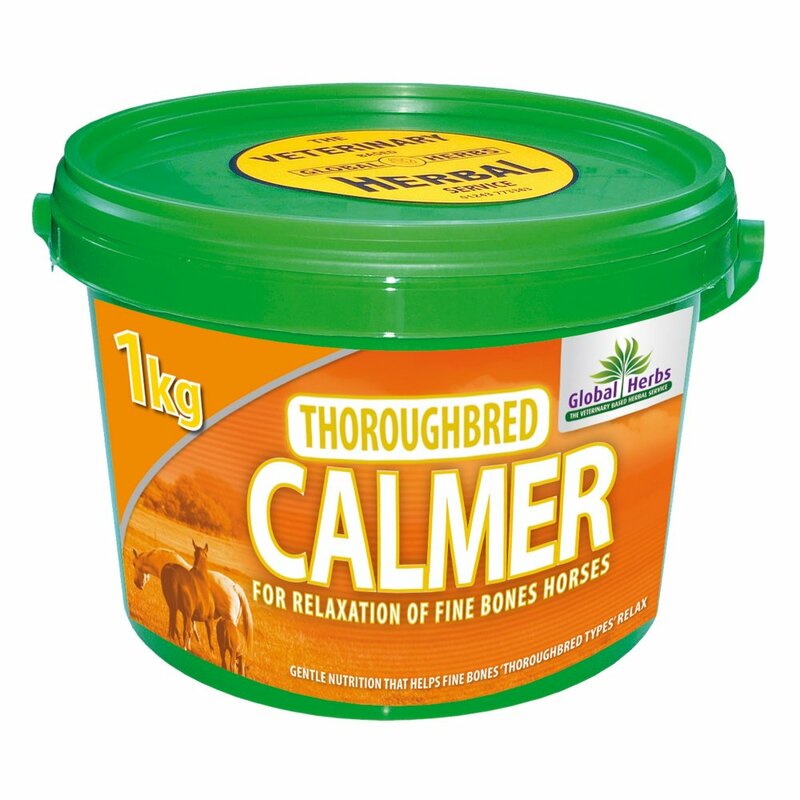 Global Herbs Thoroughbred Calmer has been specially formulated for fine boned horses that respond better to a more simple mix of herbs without the magnesium found in SuperCalm. Many owners have found this special throughbred blend has made a huge difference for their horses whether for relaxed hacking or more competitive situations. We recommend adjusting feed levels when using this calmer to control fizziness and overexcitement. It usually takes 2-3 days for Global Herbs Thoroughbred Calmer to start taking effect.